Name etched on a Suffolk church. In Kingston, a small village in rural Cambridgeshire, a stolid tenant farmer is wiping moist eyes. His three children had survived the 1507 outbreak of the ‘sweats;’ a sickness that could see you hale and hearty at lunchtime, and dead before supper. But by 1515 they succumbed to a particularly virulent outbreak of the bubonic plague. 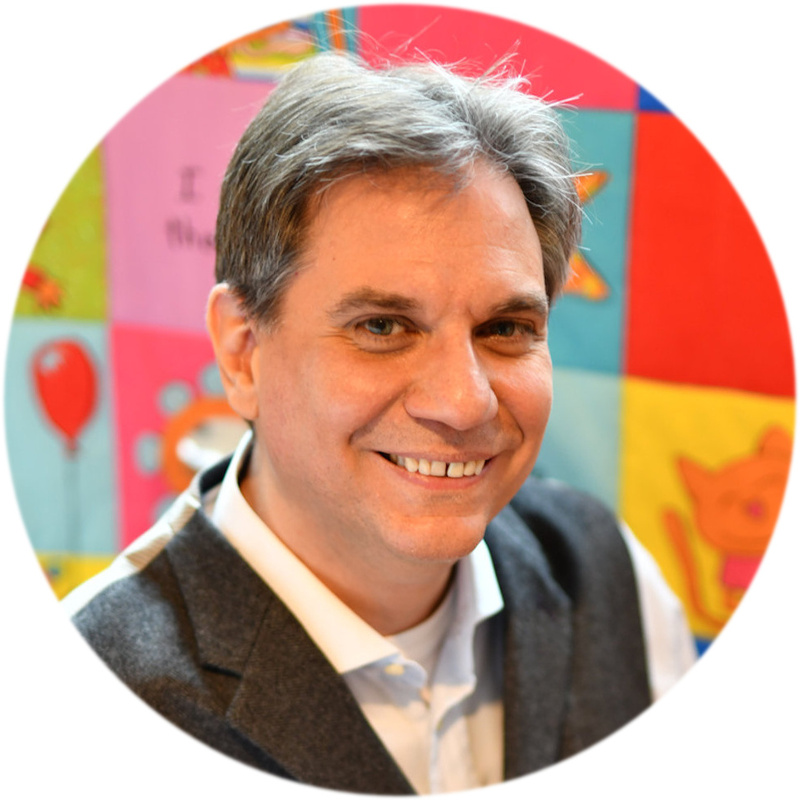 Having hastily buried them in unmarked graves, he is seeking a way to memorialize them. Without thinking, he fishes a knife from his pocket and neatly etches the names of his three dead children into the walls: Cateryn Maddyngley, Jane Maddyngley, and Amee Maddyngley. And then I come across a fascinating post on Medieval graffiti on History Extra via Cygnus, and I wonder: am I on the wrong side of history here? 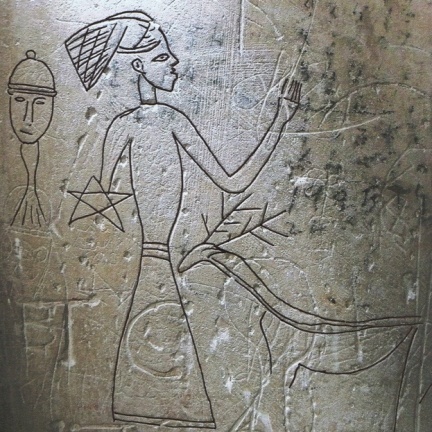 The post in question is based on Medieval Graffiti, a recent book by archaeologist and leading expert Matthew Champion. 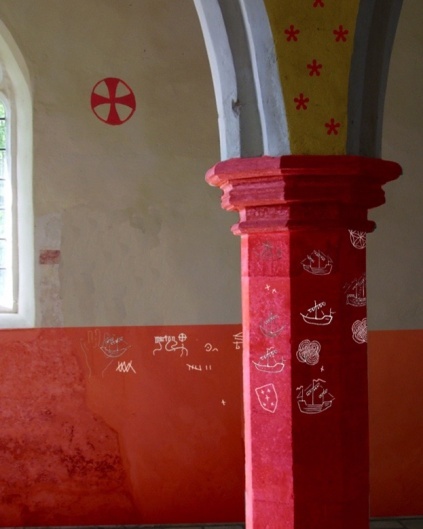 Matthew explores the meaning behind the graffiti, drawing on thousands of examples from surviving medieval churches across England. 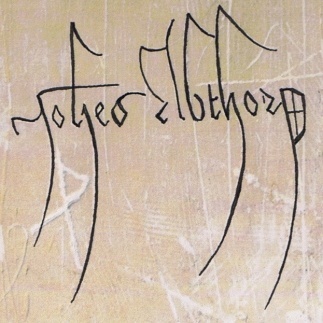 Unlike modern times, Matthew argues that during the Middle Ages graffiti appears to have been acceptable. Whereas the parish elite could afford to have themselves memorialized by donating ornate stained glass windows and fine alabaster monuments, the common folk who for generations worshiped within the church walls had to find a more economical way. 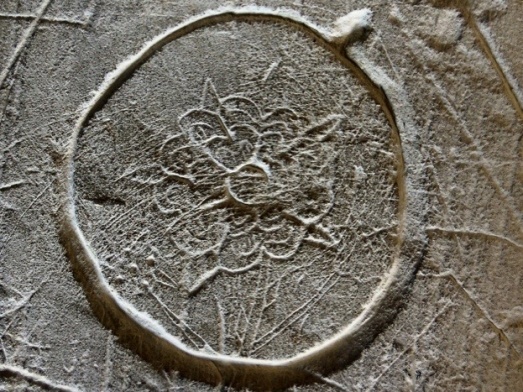 Hence, graffiti; the lost voices of the medieval church. One main difference to today’s dreaded tagging (yes, I know I’m just showing my age here), is that modern graffiti tends to be largely territorial or memorial in nature; a simple ‘I was here’ or ‘this is mine/ours’. However, the vast majority of medieval inscriptions appear to be devotional or religious in nature. They are, in the very simplest of terms, prayers made solid in stone. In some cases the inscriptions are literally that – Latin prayers that wouldn’t be out of place in a traditional church service, etched deep into the stonework; prayers for the safe return of long-overdue ships or for a good harvest, and prayers for the souls of a dear departed family member. Others are less easy to decipher. 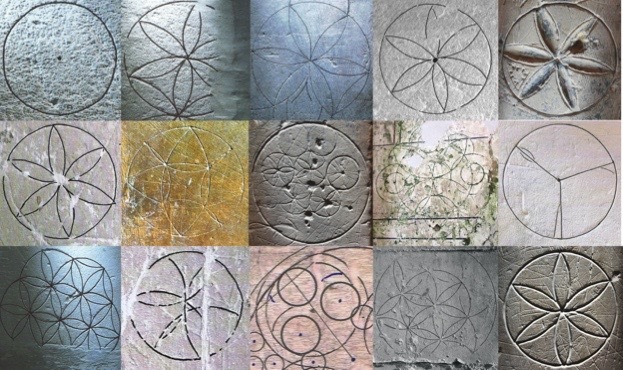 Ritual protection marks, more commonly known as ‘Witch Marks’, designed to ward off demons and the ever-present ‘evil eye’, clustered around medieval fonts. Elaborate crosses cut deep into the arches of doorways in memory of vows undertaken, or asking for God’s blessing upon a new and perhaps hazardous undertaking. Medieval ships complete with crew members still sailing across the stonework after many long centuries, and images of demons pinned to the walls for evermore by deeply etched pentangles and ‘demon traps’. The walls of our medieval churches are full of minute testaments to faith and belief that were once commonplace. They tell the stories of life, love, hope and fear within the English medieval parish; a record that depicts sudden death and the perils of the soul that, every day, faced our ancestors. Most of all, though, these scratched mementos by the long dead tell us about people. 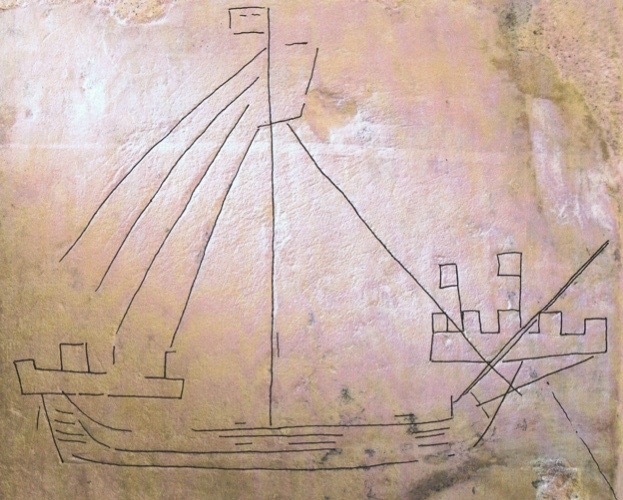 A single church, such as that of St Mary’s at Troston in Suffolk, can hold many hundreds of early inscriptions, such as the sadly defaced outlines of two medieval ships; prayers, perhaps, for safe voyages undertaken by local churchgoers. On the south side of the chancel arch the graffiti takes a sinister bent. Just below a beautifully executed medieval coat-of-arms can be seen another outline of a medieval shoe. However, scrawled alongside it, and partly obscuring it, is a small head of a demon. Admittedly, demon imagery was common in the medieval church, with colorful and grotesque examples often found casting the souls of the damned down into the pit of hell on the surviving doom paintings that can still be seen above many chancel arches. However, the number of graffiti examples here is noteworthy. Higher up the arch is a second demon inscription, shown in profile with a gaping mouth full of sharpened teeth and its tongue lolling out. Across the demon’s head is a pentangle, scored deeply into the stonework suggesting that it was gone over time and time again. The pentangle, originally a Christian symbol of protection, sits exactly within the confines of the demon’s head – quite literally pinning it to the wall and trapping the ‘evil’ within. Such examples as those found at St Mary’s at Troston would have taken several hours to execute. The length of time taken to create these designs does rather suggest that they couldn’t have been carried out without the full knowledge of the local church itself ­– and with at least their tacit approval. Visit History Extra for more examples of medieval graffiti and check out Matthew Champion’s book on Amazon. Another enlightening, entertaining and just plain fun post. Interestingly, my son and I were talking about the Viking rune stones that loved ones would carve to commemorate a ships voyage, or the deaths of loved ones. Possibly related. That’s really fascinating, not least because my mate lives in Kingston so I will now have to go and look at the church and see if I can find that graffiti. 😉 I’ve noticed graffiti in old schools and colleges but never churches, I clearly haven’t been looking hard enough! Wonderful post, Nick! What an unexpected glimpse into tbe lives of the people of the past. I had no idea this went on, but I do know that inside the mound of Knowth, three thieves , I think early Medieval, tried to steal a stone basin but it was too big to carry out the passage, so they left it there and carved their names into the orthostats beside it. ? Love this. Some of the “graffiti” is very close to sacred geometry. I have to say that I prefer the ancient marks to their modern equivalents. Interesting how the reasons behind the graffiti has changed. 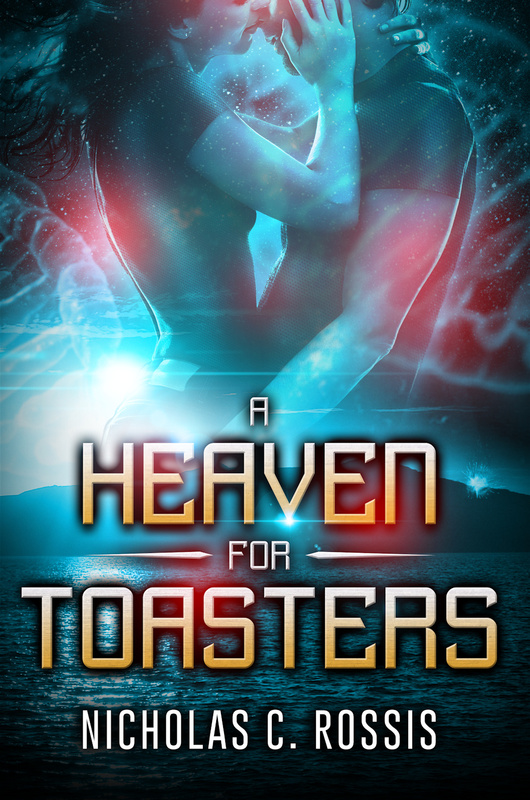 This makes me curious about what future civilizations will think when they uncover it. It could paint a very odd picture of the past depending on what else is known. You’re a moving writing prompt, aren’t you? Maybe. Though moving is debatable at this time of morning.